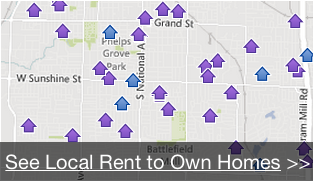 Why Rent To Own A Home? For many people, rent-to-own is the best way to own a home… particularly when you’re faced with bad or no credit, or lack of a traditional down payment. We can help! There are a lot of benefits of a rent to own agreement on your next Newport, NC and Surrounding Areas home! In the Newport, NC and Surrounding Areas area, lots of smart people are using rent to own agreements as a way to get the home of their dreams without having to qualify for a bank loan right away. Live in your home while working towards purchasing it!! You get to live in your rented home before you actually purchase it, allowing you to feel like a homeowner now. Own without great credit or a traditional down payment. You can start feeling like a homeowner right away while improving your credit. Profit from home appreciation right away. Often, homes in Newport, NC and Surrounding Areas are worth more on the day of the purchase than the price that you’re paying! This can be huge money.